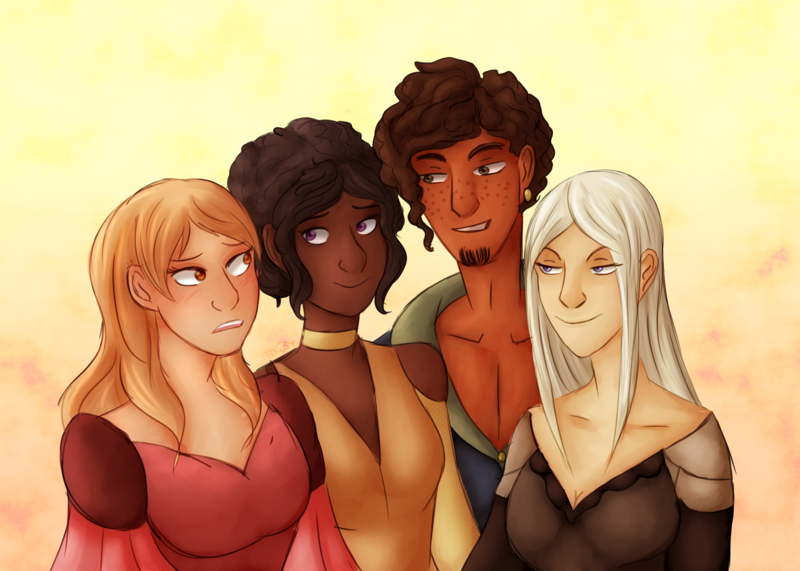 Berasis is the second eldest child of Yora and the right hand man of Cassine. Berasis has brown skin with several freckles. His hair is brown and volumous. He has dark brown eyes, and is usually seen with at least one gold ear piercing. The clothes he favours are light and hang loose off his well built body. Berasis is rather quiet, letting his sisters do most of his talking and seems most comfortable in their company. On occasion however, he will chip in with their cruel comments. He is quite athletic, and can often be seen training. This seems to be for the benefit of his appearance rather than any real desire to be strong or physically fit. Notably – Cassine, Lavenderis and Veraphne, his main clique. Une caste – half siblings. Kithe caste – half siblings. He sometimes trains with the Leviathan Hunting Guild, but appears to have no interest in taking part.